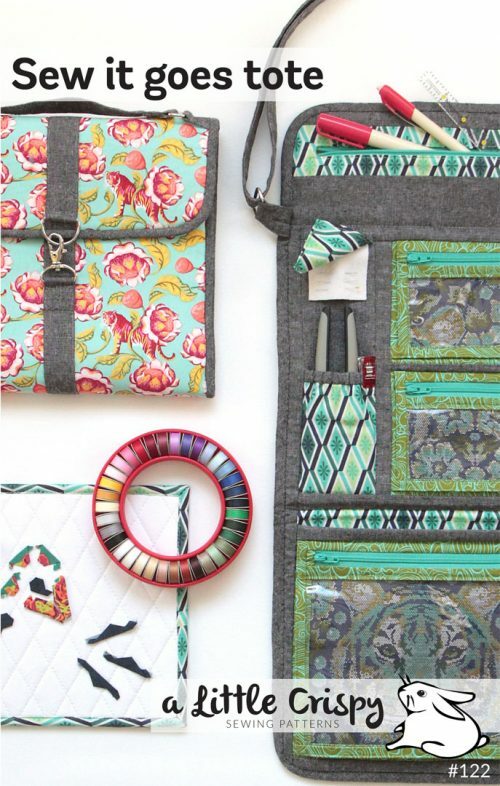 Stand out at your next trade show, conference, or at work! 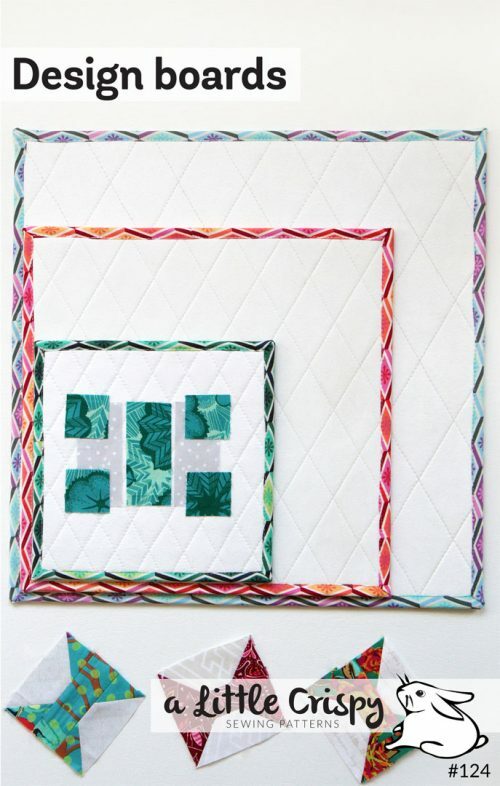 Make a badge holder that expresses your style and shows off a little of your awesome skills. You can make several so you can choose the perfect one for your outfit that day. This badge holder has much more than just a front window to hold your ID badge. It has another vinyl window on the back to hold business cards or notes and a zipper set into the back to hold your cash or credit card, hotel room key, or other small necessities. There is also a pen loop set into the side so you always have a pen handy. 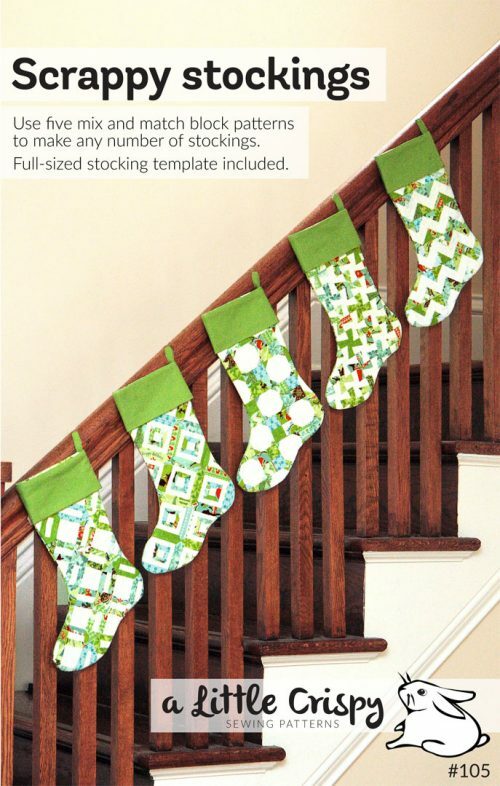 This pattern has directions for several different styles. 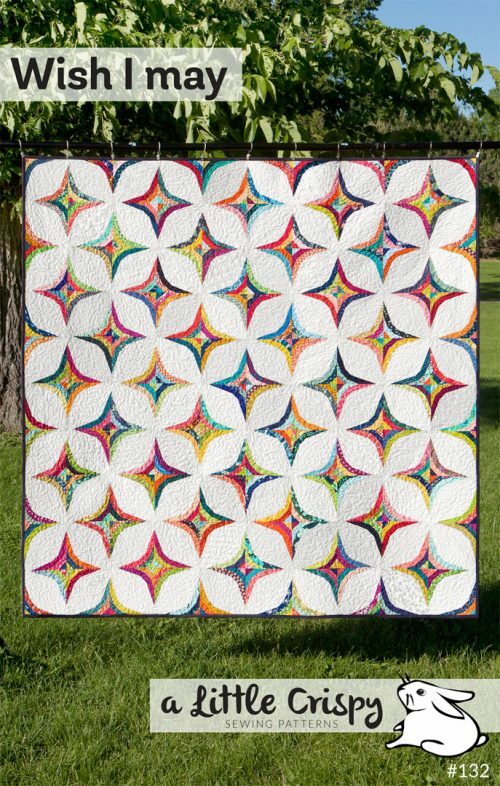 You can have a plain front that shows off a precious fabric, or you can add a row of teeny-tiny blocks, or embroidery, or a decorative ribbon. 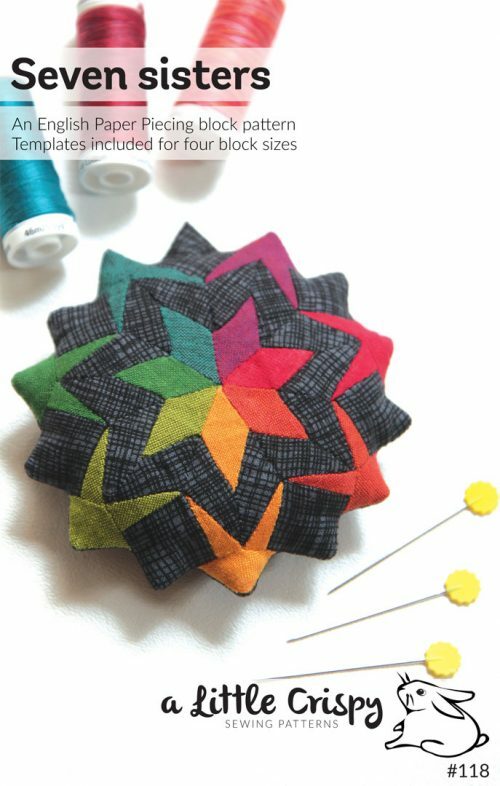 I provide instructions for the extra cute mini star blocks and include the embroidery pattern from the cover. 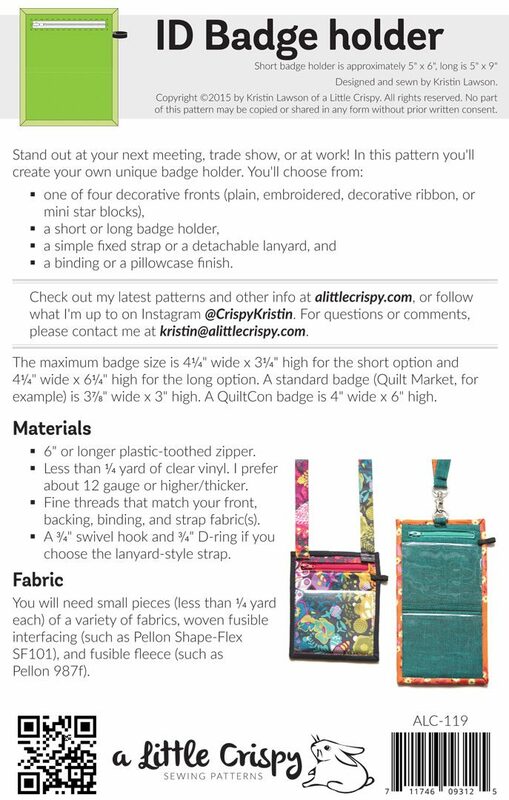 You can also choose whether to make a long or a short badge holder. 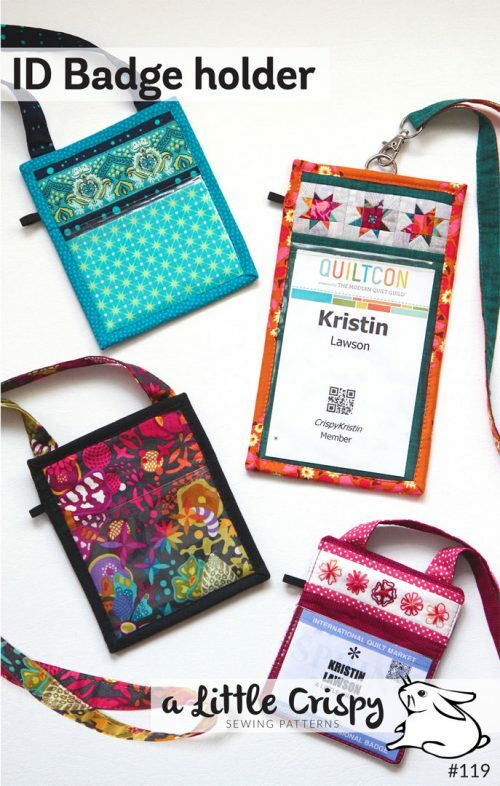 The short size fits standard badges, such as a Quilt Market badge, and the long one fits the QuiltCon badge (2018). 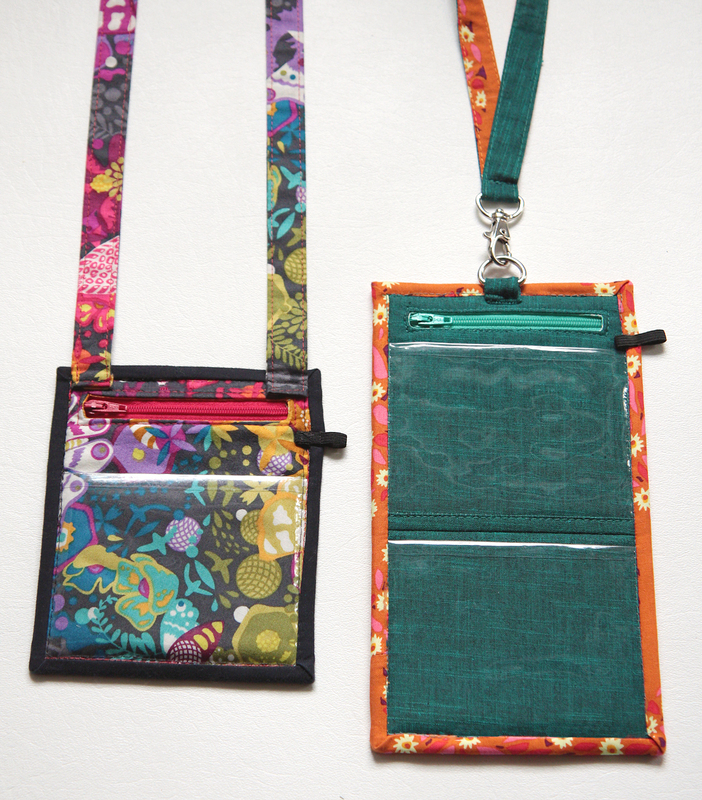 There are two strap options: a detachable lanyard or fixed strap. With a lanyard you can clip extra things behind your badge, or if you make a more neutral lanyard, you can make several badge holders without having to make more straps. And finally, you choose your finish. 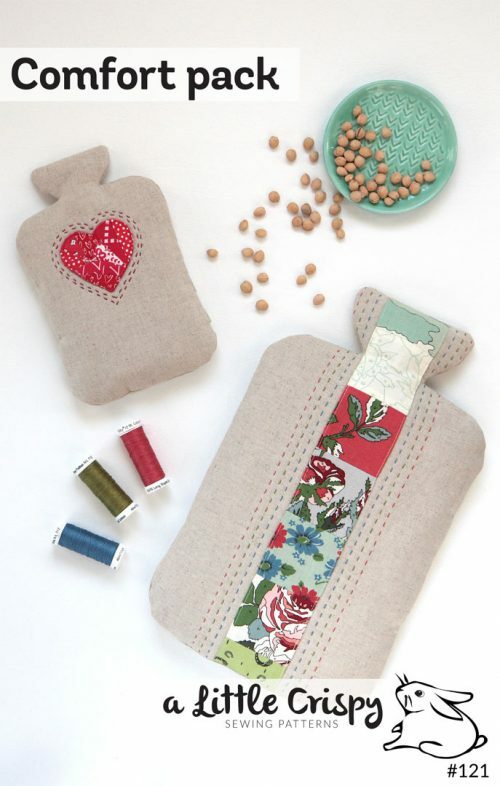 I think it looks great with a binding around the outside, but not everyone loves binding by machine, so I’ve included a super-easy pillowcase finish as well. So many choices! For the short badge holder, the window holds a maximum size of paper badge of approximately 4 1/4″ wide x 3 1/4″ high. For the long option, the maximum paper badge size is approximately 4 1/4″ wide x 6 1/4″ high. The short badge holder is approximately 5″ wide x 6″ high and the long badge holder is approximately 5″ wide x 9″ high, not including the strap.